If you click to enlarge the photo though, you'll see many more galaxies in the background (the huge stars are in our own Milky Way and are just the obstacles we're shooting around for the picture.) 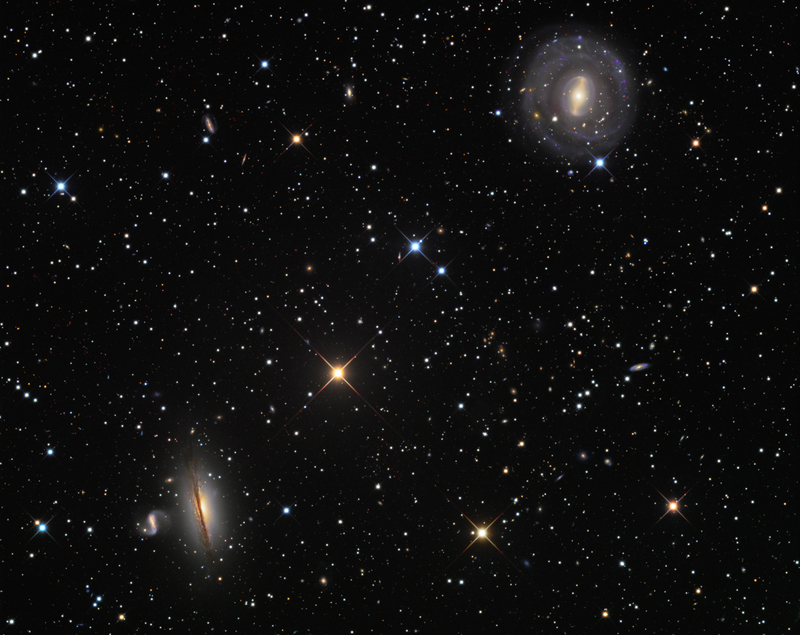 That's what always fascinates me about these deep space images -- look at the tiny little galaxy in the corner! Does anyone live there? What's the view like from there, I wonder? It gives me an odd feeling, half loneliness, half yearning. With of course a dash of my usual incurable nosiness, wanting to know everything about everything. These impressive creatures are Australian pelicans, in Sydney. I hope that if your Memorial Day plans include the water, it's in a more seaworthy vessel than this one. I thought I'd posted this one already, but apparently it got lost along the way. 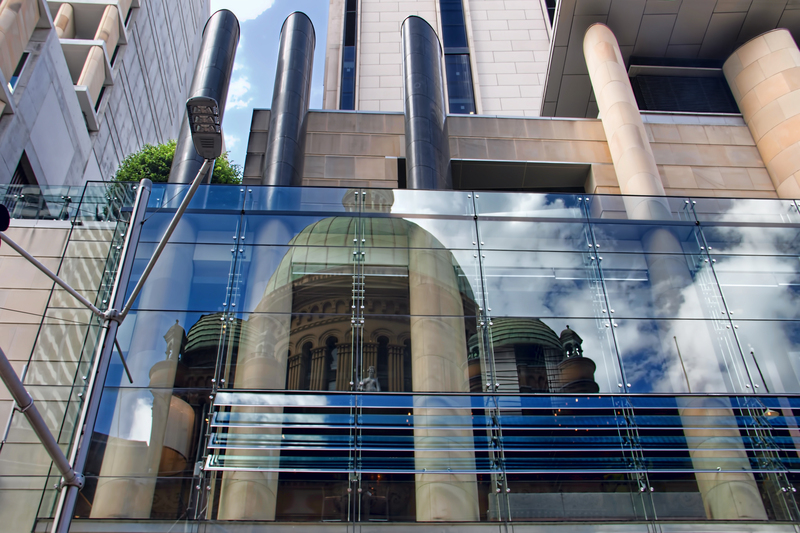 This is the ornate entrance to the Queen Victoria building in Sydney, as reflected in the very modern Hilton across the street. A message from the heart of all New Yorkers, scrawled in chalk on Ninth Avenue. 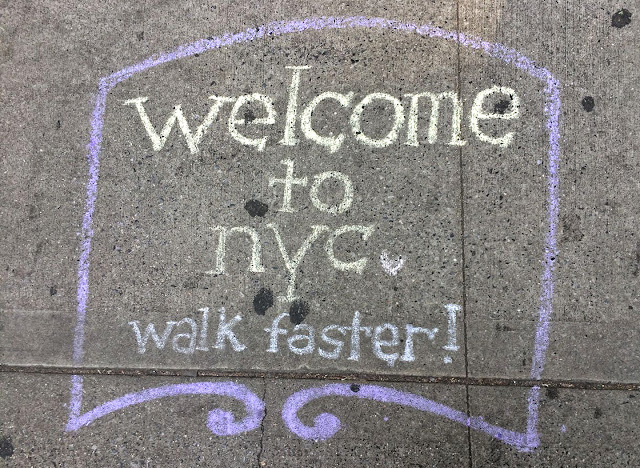 I don't usually mind when tourists walk slowly, as long as it is possible to get around them. What tempts me to behave like the worst stereotype of a surly, impatient New Yorker is when a group of people stand in the middle of the sidewalk for no apparent reason and are oblivious to all reasonable attempts to get through them or by them. Tonight when I was walking home a large group of ten or twelve Chinese tourists stopped dead in the sidewalk to watch an ambulance making its slow frustrated way through rush hour traffic. Pedestrian traffic backed up and finally came to a dead halt behind them, while they discussed the situation. Phones were produced. Pictures were taken. Eventually the ambulance moved on and so did we. Clearly we need more of these signs, in many many languages. 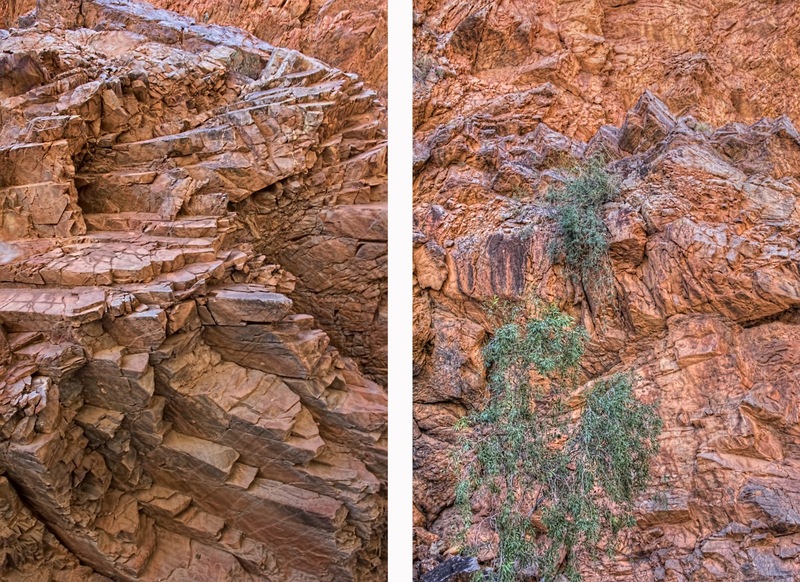 Any pattern you can imagine exists in so many places, in so many ways. The red makes me think of blood vessels of course, but also rivers and highways and the lines on my skin. 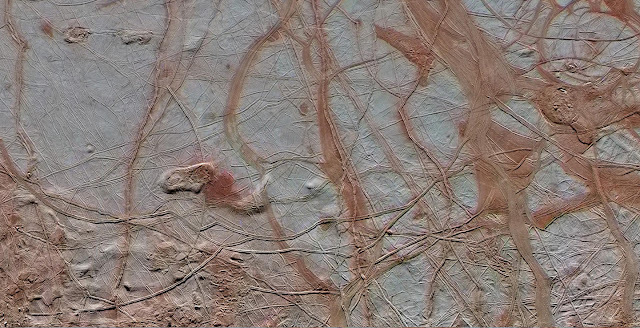 But this is Europa, one of Jupiter's moons, and these patterns are caused by ice breaking and reforming, possibly due to a liquid ocean beneath the icy surface. The rougher sections at the bottom of the picture are what astrogeologists call chaos terrain (I love that name) because of the jumbled way the various ridges and cracks and valleys intersect with one another. On Europa, one of these sections is called the Conamara Chaos, because it (allegedly) resembles the landscape in Connemara, Ireland. I've never been to Connemara, but my mother grew up one county over and I'm fairly confident she would not notice a resemblance. 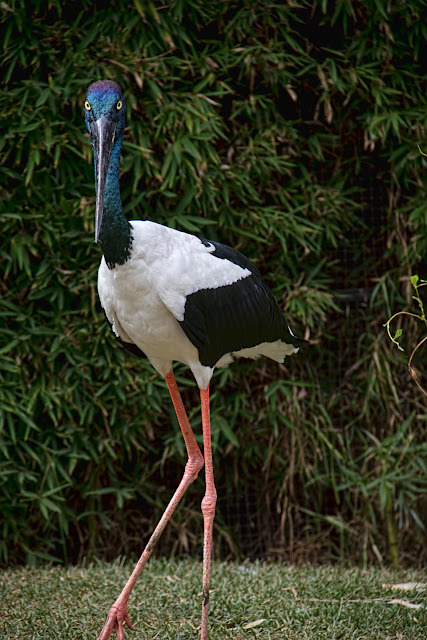 Those brilliant yellow eyes belong to a black-necked stork in Sydney. 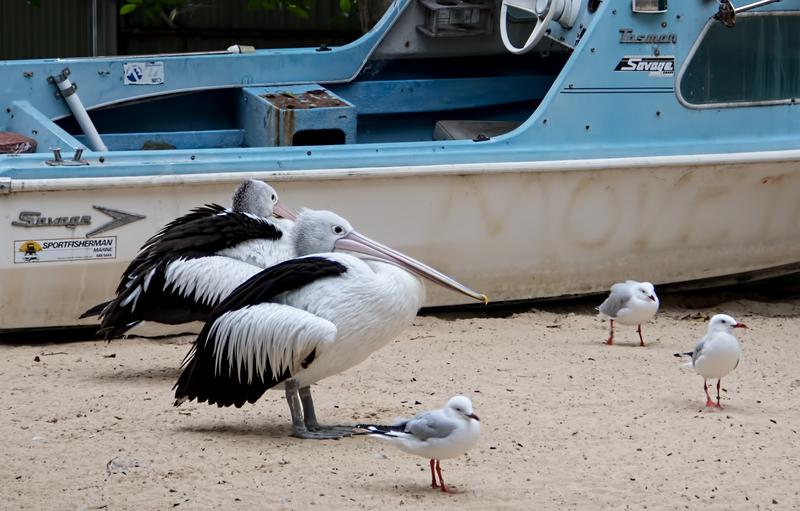 The bird was almost as tall as I am, so that glare was coming straight at me. 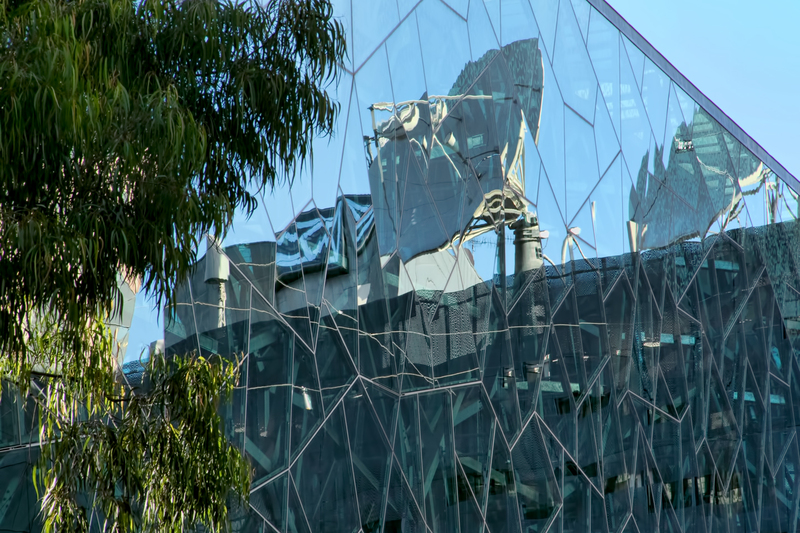 Another view of the Australian Centre for the Moving Image in Melbourne. I call this one Jet Lag -- the uninspiring view from my hotel bed in Melbourne at about three o'clock in the morning on my first night in Australia. I hadn't eaten dinner, so when I got tired of playing with my camera in the dark, I called room service and ordered a sliced chicken and avocado sandwich on toasted sourdough with a green salad and coffee. I think I remember almost every bite of that sandwich -- I was buzzing with exhaustion and half-drugged from the sleep I'd managed to get, but when I started to eat, all of my scattered neurons snapped to attention and decided there was something they could all agree on: Food. It was an awfully good sandwich. Who doesn't enjoy a pretty nebula on a chilly Tuesday? 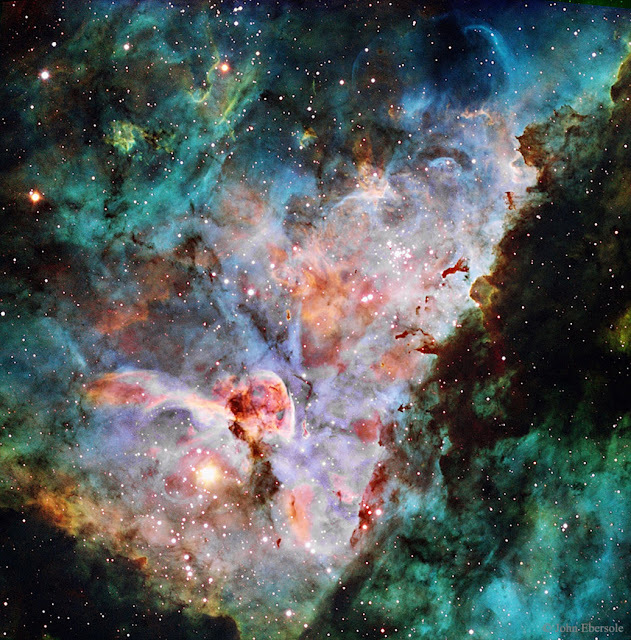 This is the Carina nebula, located in the constellation of the same name. The Carina constellation contains the second brightest star in the night sky, Canopus, but the star within the nebula, Eta Carinae, is the real scene-stealer. Although it's fairly dim at the moment, it's a variable star worthy of the name and for a time in the nineteenth century it was tied with Sirius for brightest star in the sky. I've been playing around with this one, and still don't quite have the effect I'm looking for -- a little dark, a little eerie. 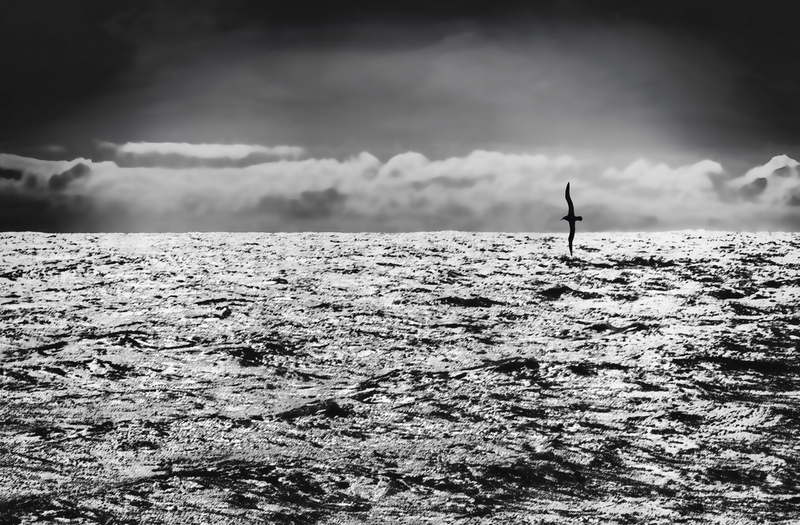 This is an albatross showing off in the Tasman Sea, just outside Milford Sound. I took several pictures of this bird -- I didn't mind much that it was so far away because they're such huge birds and you can almost get more of an idea of how big a wingspan they have from a distance -- and just happened to catch this moment when it was perfectly vertical against the horizon. 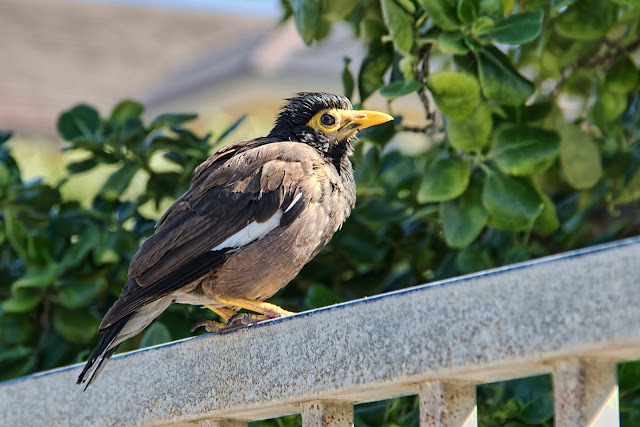 This jaunty myna was catching some rays at Bondi Beach. For some reason those black feathers just scream “Elvis impersonator” to me. 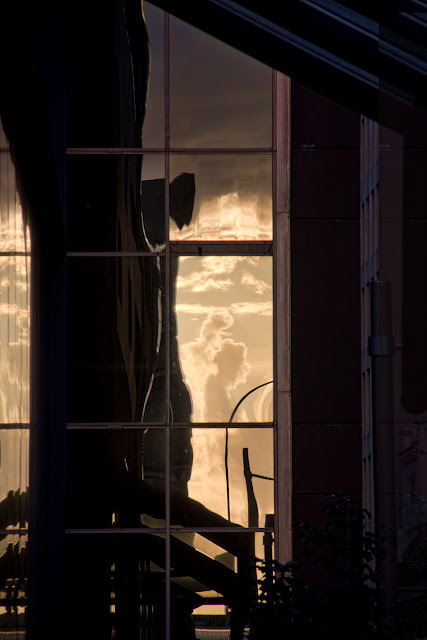 These moody and mysterious windows were in an alley just off Queen Street in Auckland. A less moody and mysterious location could hardly be imagined -- as I recall, this was next to or above a Burger King. 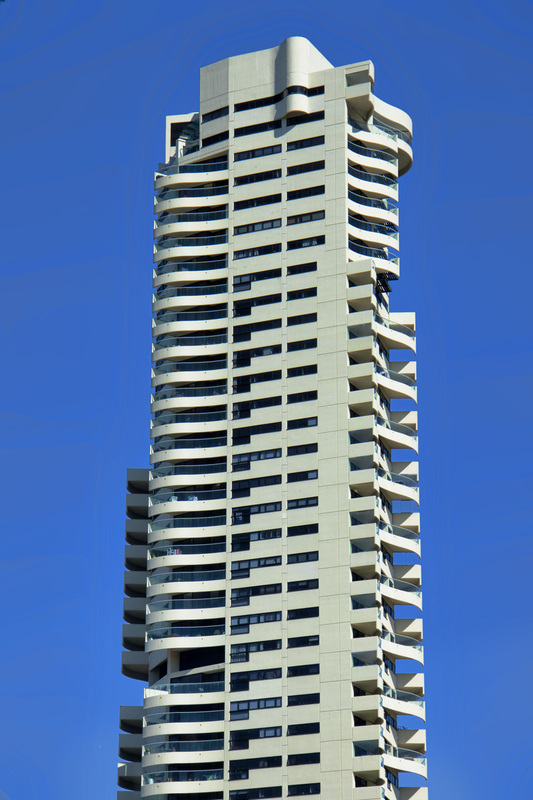 This is the Horizon, an apartment building in Sydney designed by Harry Seidler. It's an interesting building, I guess -- I don't love it -- but I do like the shape of the balconies hanging off on the right side there. Curved balconies are extremely common in Sydney; I don't know if it's a reflection of beach culture and the water surrounding the city, or a nod to the famous sails on the Opera House. 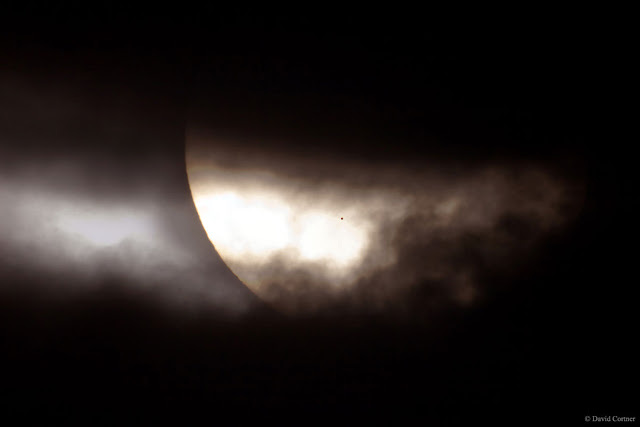 There was a transit of Mercury yesterday -- Mercury, the Little Planet That Could, chugging across the great disk of the sun. Of course, it was just going about its usual business, tracing its orbit according to laws it couldn't disobey if it wanted to, but from where we sit, two planets over, it gave us a lovely view. This moody photo is from the transit in 2006. 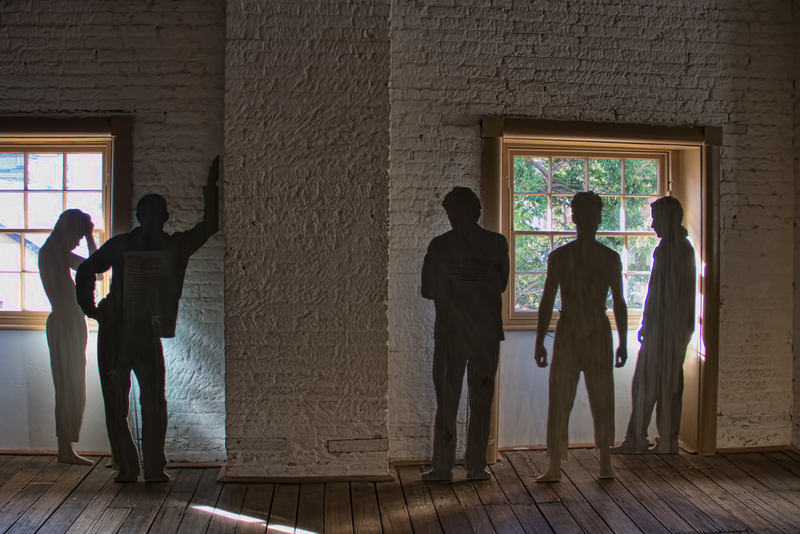 This is on the top floor of the museum, where the cases of artifacts give way to something more personal: the hammocks, boxes of personal possessions, and this eerie gallery. Voices weave in and out; you follow one only to have a different voice take up a different story. It's bloody brilliant. It moved me to tears. And that's a good place to end this trip, at least for now. 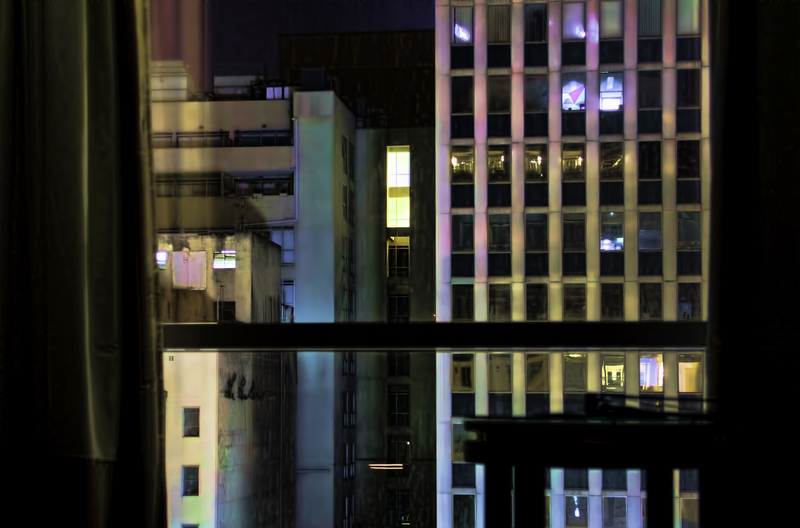 Other images -- birds, reflections -- will probably show up from time to time, but as a story, it's done. 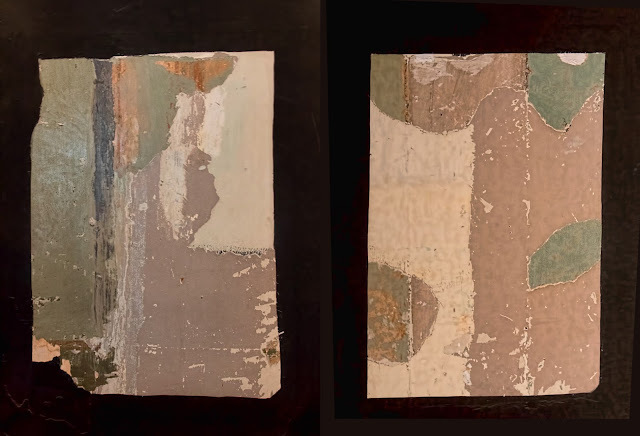 These patches where they partially stripped away the various layers of paint that had been applied through the years almost look like abstract art hanging in a different kind of museum. 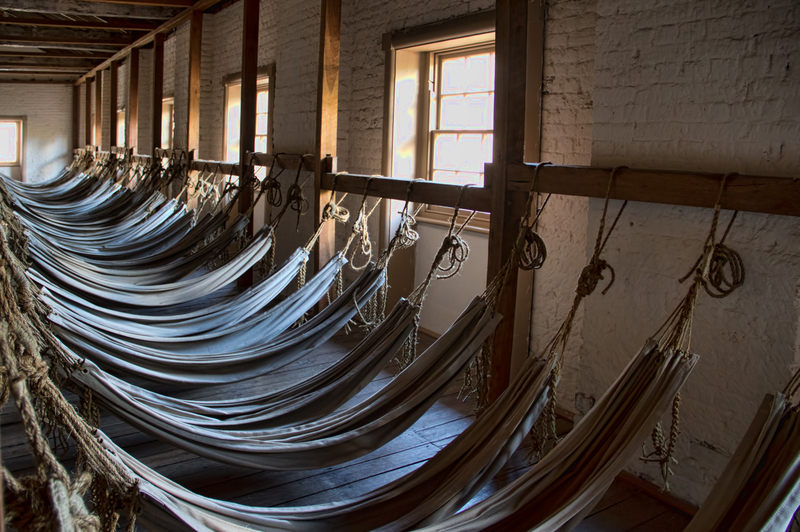 The building where the Hyde Park Barracks is housed is itself one of the museum exhibits. That's not unusual -- many of the great museums of the world are situated in former mansions or palaces, and when I visit houses of historical value that are open to the public I'm usually more interested in the house itself than in whatever dishes and snuffboxes are sitting in the glass cases. 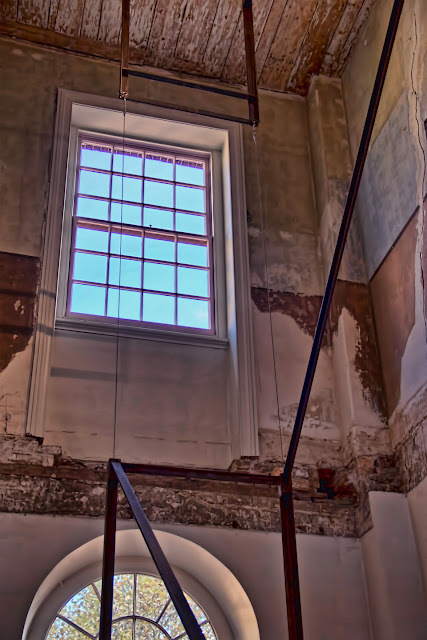 The history of this building -- designed by the great Francis Greenway, himself a convict, built by convict labor to house convicts, before becoming a home for immigrant women and finally government offices -- is like a summary of Australian history in brick and plaster. What they've done here that's fascinating is to strip away many of the additions made through the years without trying to recreate the original. This stairwell no longer has stairs, only an iron railing to mark what used to be there. Because most human stories are sad. I'm ending with the Hyde Park Barracks, now a museum in Sydney, and a wonderful reminder that the majority of the Europeans who first came here did so involuntarily and that this country, maybe more than most, was built on a foundation of suffering and injustice. You could be transported here for what we would now consider petty theft, and governors who were seen as too lenient with the convicts were quickly replaced -- if life in Australia wasn't a horror, the reasoning went, then the threat of transportation lost its value as a deterrent to crime. Some convicts got lucky, assigned to work in a household or on a farm, where they had enough to eat and might be treated humanely. Others worked on chain gangs, or as human hamsters turning giant wheels for the mills, or waist-deep in cold water digging oyster shells. 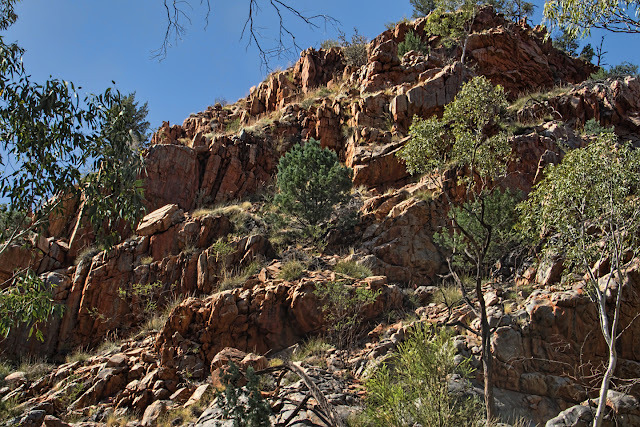 One of the saddest details in The Fatal Shore, Robert Hughes' great history of the convict years, was the convicts who tried to escape by walking into the bush. They had so little sense of where they actually were that rumor had it you could walk to China by heading north. A few who tried this were caught; the rest quickly died from heat and starvation. 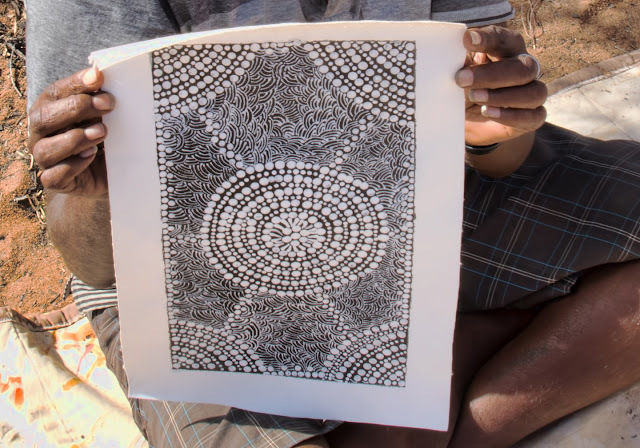 This painting, a classic aborigine rendering of the bush onion pattern, is being held by the artist, Marjorie Spencer. I cropped her out, because although she gave me permission to take her picture when I bought the painting, I doubt she would have liked it posted online. Very few aborigines allowed us to take pictures; most said no when I asked and I always asked. Though I am quite comfortable sneaking pictures of people in most situations, this was such a taboo that I was never tempted to try to get around it. 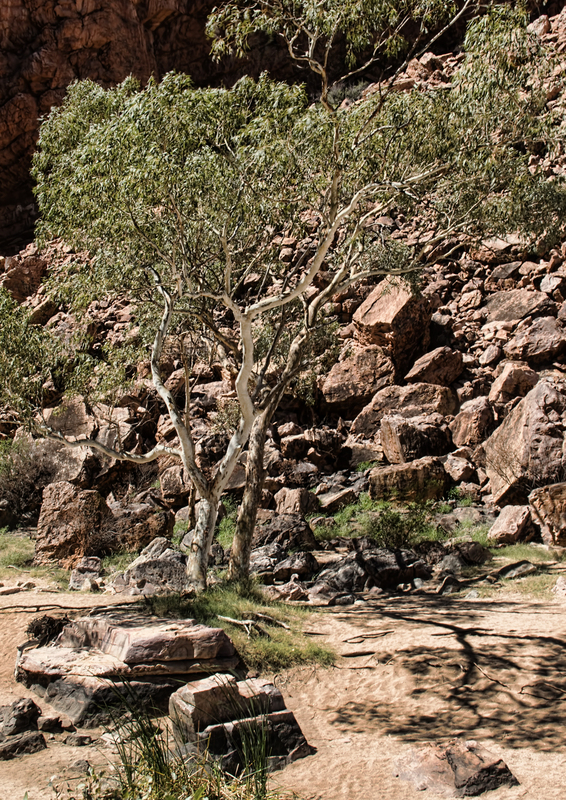 At a rest stop between Alice and Yulara, I was fiddling with my camera, trying to clean a stubborn spot off my lens and an old man across the yard thought I was pointing my camera at him to take a picture. Another man came over and ordered me to delete the pictures immediately, and I was glad to be able to show him that I hadn't taken any. 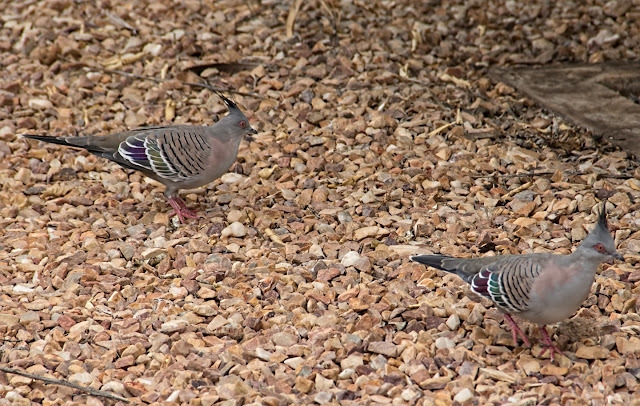 In an odd way, I feel as though the few pictures I was allowed to take are for me alone, and not for sharing. The history of the aborigines after the arrival of the European settlers is even uglier than most of those histories tend to be and it's still sad and unsettled. The aborigines had been in Australia for 60,000 years when the English arrived, and their ancient and alien culture had no commonality with Europe. They built no cities and amassed no wealth, but they managed to survive and even thrive in incredibly hostile conditions, using every plant and every animal that this harsh land gave them. They don't thrive in modern Australia. Their culture is so tied to the land, each feature of the landscape its own song and story, that it doesn't lend itself to becoming part-time, a life where you can live in a city and work in an office and celebrate the old festivals when family gets together for the holidays. I don't pretend to really understand these issues or to know what the answers could be. I do know that even in the few days that I was in the Outback, when sweat was pouring down my back and flies were crawling on my face and my knees hurt from too many rocky inclines, there was something so old and magical about the land around me that I felt an almost visceral connection to it. I can't imagine how I'd feel if it belonged to my people, if I knew the stories about each mountain, each waterhole, in a world that no longer respected such things and thought that I should live in a box and clean rooms in a tourist hotel and be grateful. 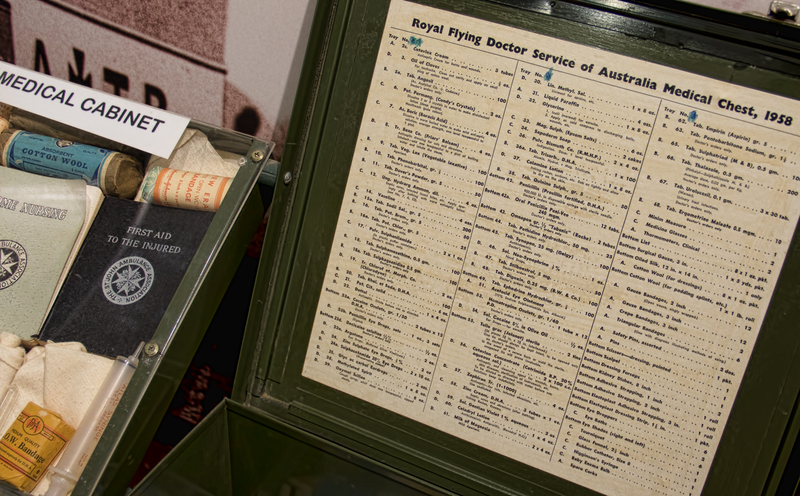 While in Alice Springs, we also visited two of the institutions that made Australian life away from the large population centers on the coasts possible -- the Royal Flying Doctor Service and the School of the Air. The sheep, and especially cattle, stations in Australia's interior are enormous, thousands of square miles in size; the largest, in South Australia, is almost the size of New Hampshire. When you live on one of these behemoths, your closest neighbors are probably at least a hundred miles away. The Flying Doctor service is exactly what you'd expect. They have a fleet of planes and they go out to do routine exams and preventive services, and bring patients in for treatment of medical emergencies. They also provide medical kits to the stations containing antibiotics and other prescription medications that the station families or staff can be directed to take by phone or radio. 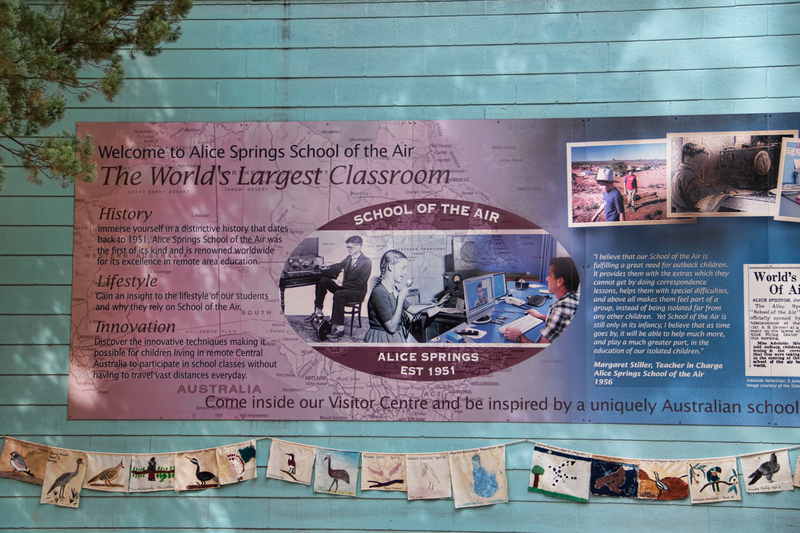 The School of the Air has been providing classes for rural families since 1951. Lessons used to be conducted by radio, with written assignments and homework sent by mail (or the Flying Doctors); now it's all done over the internet, with classes resembling your average corporate teleconference, except interesting. Every child is required to have someone, either a parent or a tutor, on site to work with outside of the electronic lessons, and being a tutor is a popular option for teenagers who want to take a gap year before university. The kids in the various schools -- there are sixteen -- meet in person a few times a year, and once they reach high school age they usually go off to boarding school to finish their basic schooling. It's a fascinating system, especially since it seems to work so well and no one has managed to break it. Yet. I wish I could have gotten better pictures of this creature because it was just amazing, more like a special effect than an actual living animal. If you created a CGI version of this for a fantasy movie, it would be sent back to the drawing board for being too unrealistic. Is that a python in your pants, or are you just glad to see me? Here is the aforementioned Barry, olive python superstar, and the equally charming and far more loquacious Rex, our guide to the reptile center. Rex told us a horrific story about a teenage girl in Alice who had been bitten by a brown snake while home alone the previous week. 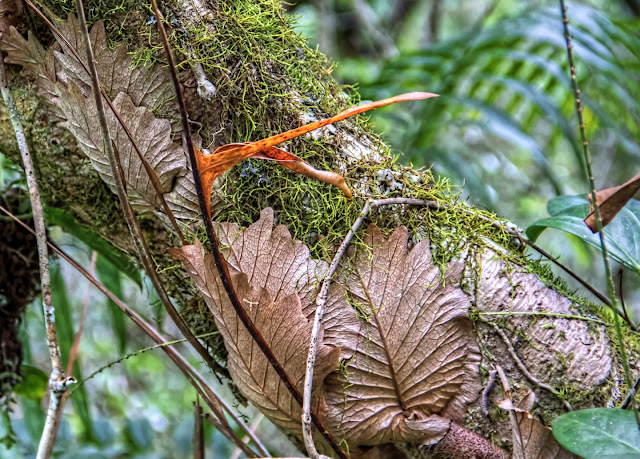 She was lucky for two reasons -- the snake didn't actually inject any venom in the bite, and she stepped on the snake in her bare feet, so she knew she had been bitten. 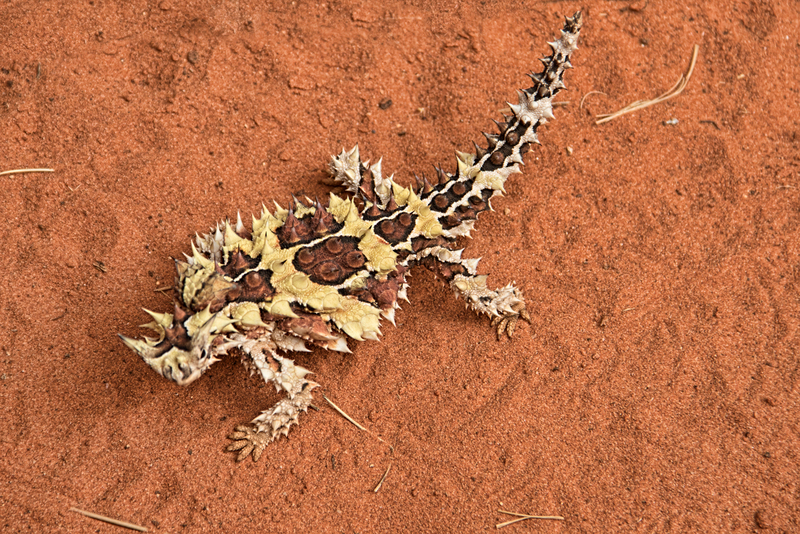 Because the poisonous snakes in Australia have such tiny fangs -- Rex passed around a box containing a fang from one snake; it was less than a quarter inch long and some snakes have fangs half that size -- it is quite possible to be bitten without noticing it, until it's too late to do anything about it. Fortunately that also means that just by wearing long pants and closed shoes you can avoid most snakebites, as they're not strong enough to penetrate clothes. 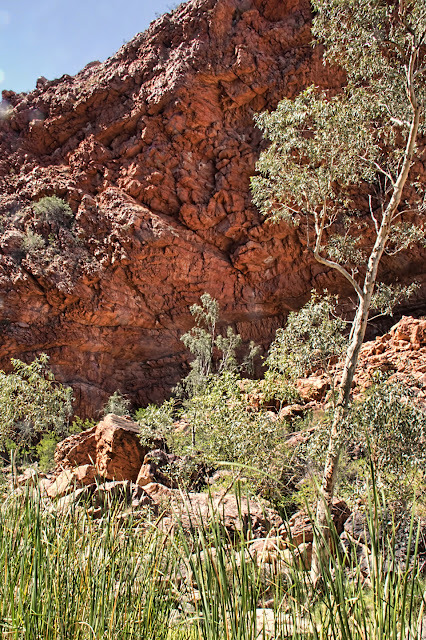 I don't think anyone in our group wore sandals the rest of the time we were in the Outback. Well, of course I did it in cold blood, you idiot! ... 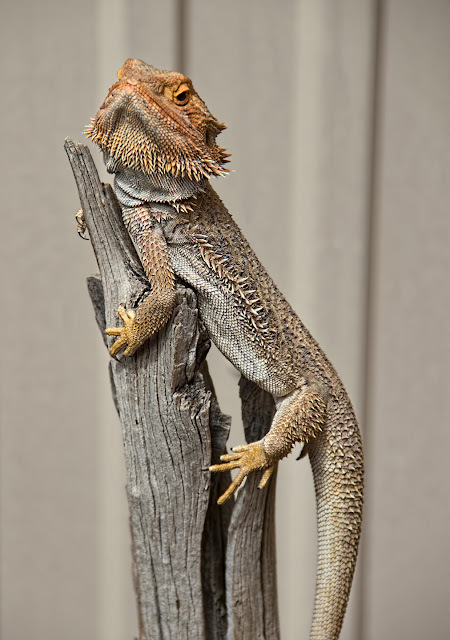 I'm a reptile! This handsome fellow, who is presumed innocent until proven otherwise, is a shingleback lizard at the Reptile Center in Alice Springs. This wasn't on our itinerary but we had extra time, and I'm glad as I would probably never have gone otherwise and it turned out to be a lot of fun. 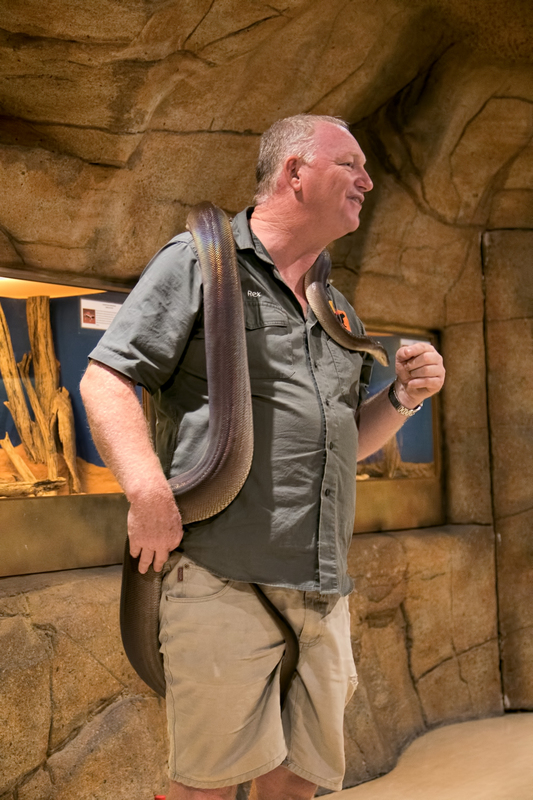 We got to hold or touch several of the non-lethal reptiles in residence, including an amiable olive python named Barry. This sign on the trail to Simpson's Gap made me smile, not just because the riverbed behind it is so obviously, completely not-swimmable -- after all, just because there isn't water in it now, doesn't mean that there's never water there, and there is a waterhole just a few minutes farther down the trail -- but because it seemed perfectly possible that this was just Outback humor. 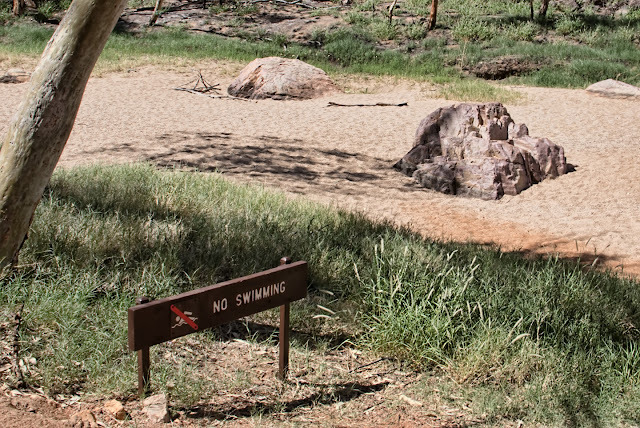 Alice Springs holds a yearly “regatta” in the Todd River, so named by early settlers before they realized that any water in the river was underground and that what they actually had was not so much a river as a riverbed. The race consists of teams of runners running along the riverbed carrying bottomless boats. 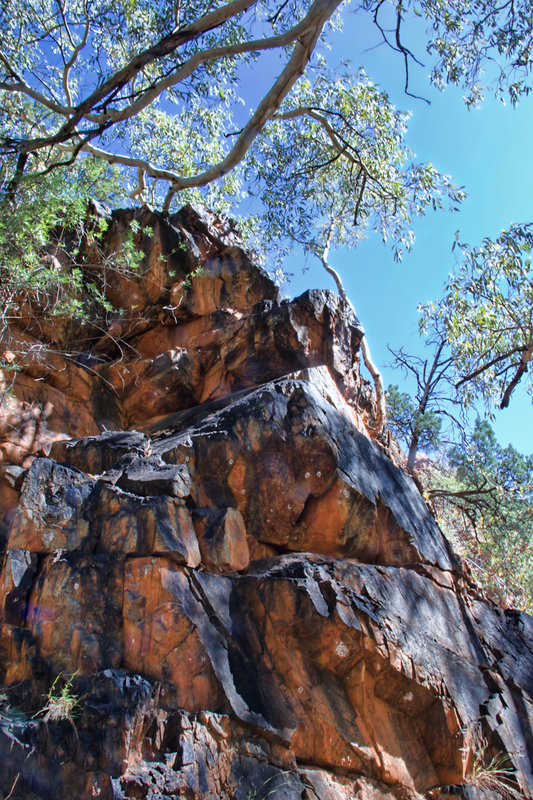 Circling back to the Outback, to the landscapes so old you can see how time has chewed them up and worn them down, I'm going to catch to try to catch up on the rest of Australia today. Which is mostly the Outback, the point at which I began to see too much to take it all in, much less blog about it. (Or even sort through and process all the pictures I took.) 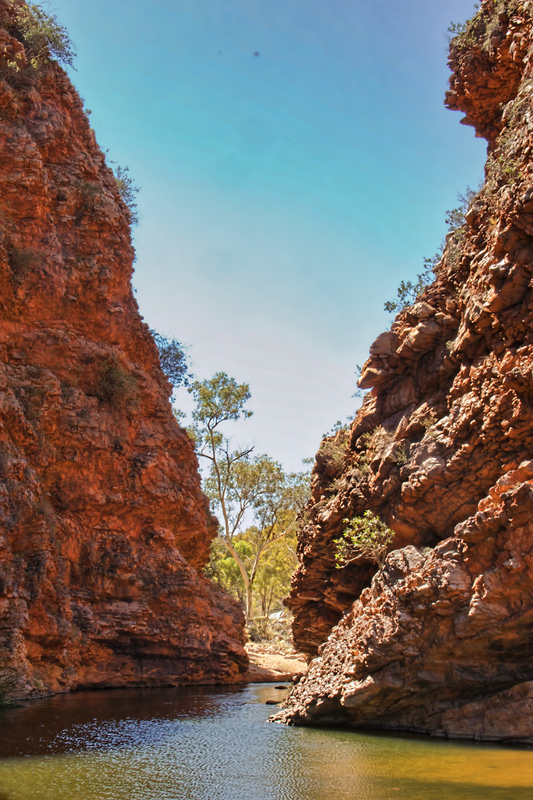 This is Simpson's Gap, a narrow break in the MacDonnell Ranges outside Alice Springs, home to a permanent waterhole -- which is probably enough to make it a national monument in the Outback. Years ago I was at a conference in Orlando, staying in hotels at Disney World. I went for a walk along the canal one evening, enjoying a moment of solitude and silence, when all of a sudden speakers hidden in the bushes started playing music. It wasn't awful music (I want to say that it was It's a Small World because that makes a better story, but I think it was just generic instrumental music) but I was simultaneously annoyed and amused -- annoyed because I had been enjoying the quiet but amused because it just seemed so Disney to assume that no experience was complete without a soundtrack. I do hear music in this landscape though, something plaintive and a little otherworldly, like a solo cello or panpipes. 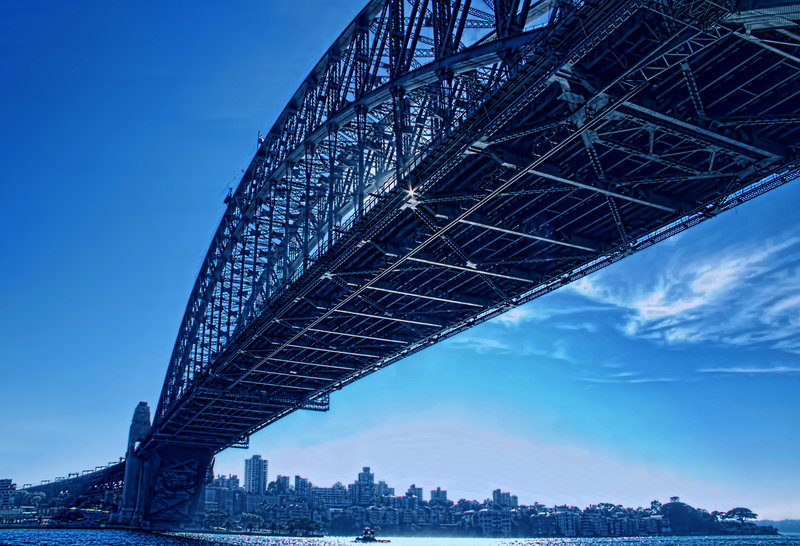 Another view of the Harbour Bridge in Sydney. 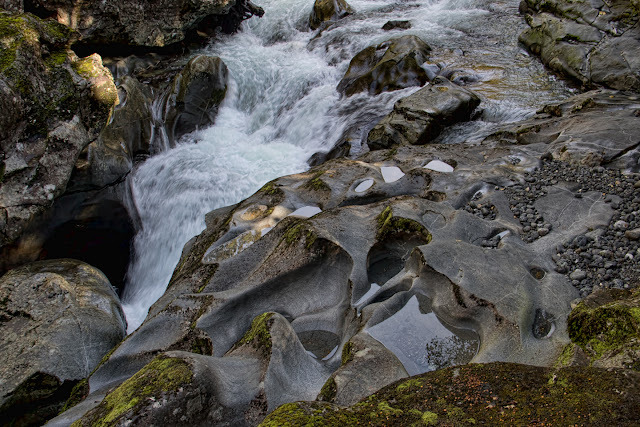 That's a quote from our friend Mr. Yeats -- no rushes here, but I do love these tiny pools, and the way the rock has been worn into such whimsical shapes by the relentless scrubbing of water in motion. 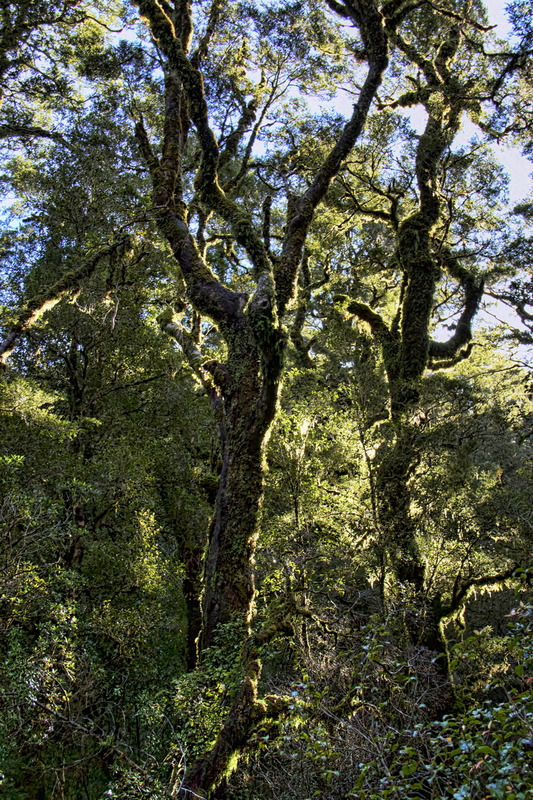 In some ways, the rain forest in Fiordland is very similar -- tall trees draped in the leaves of symbiotic species, palm fronds bigger than I am, and green, green, green. And waterfalls. 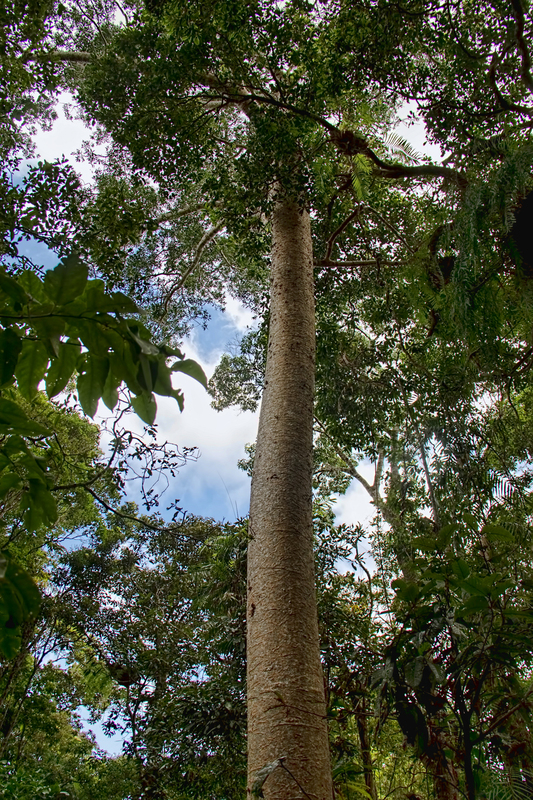 You can't have a rain forest without a very large amount of water. I don't think I have to mention that this is still the tropical rain forest -- that pink and white tree in Kuranda is probably the most exuberant piece of foliage I've ever seen. Farther down the mountain, the rain forest reverts to more sober greens. 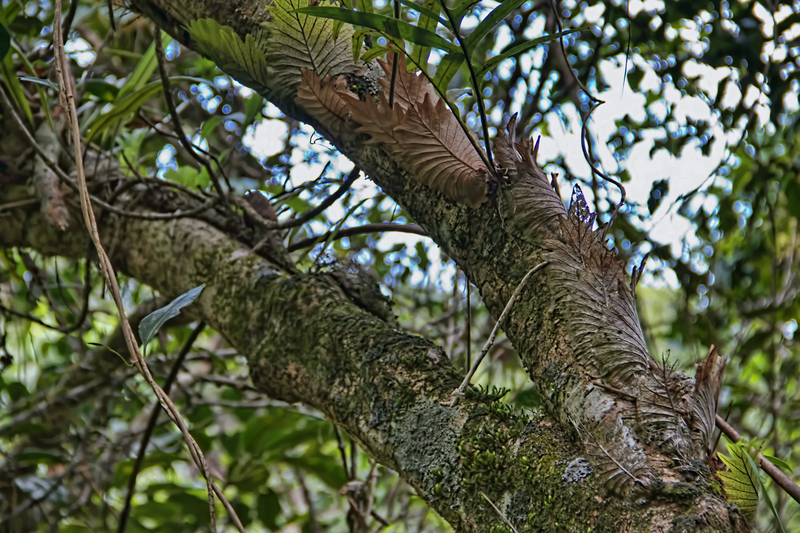 Tropical details -- these leaves curling around the trunk are probably some kind of fern that lives on the trees. Or not -- botany is not exactly my field of expertise. I just love the texture they create. There were two rain forests, one in Queensland in Australia, and the other in Fiordland in New Zealand, one tropical and one temperate. 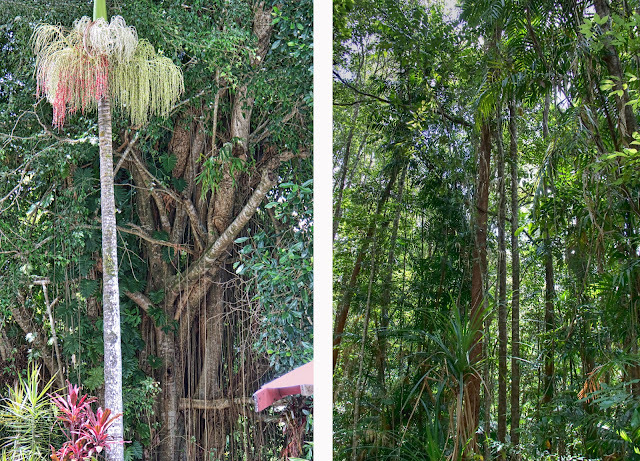 That's a Kauri pine in the tropical forest on the left, a tree that grows to 150 feet and is heavily used for lumber. 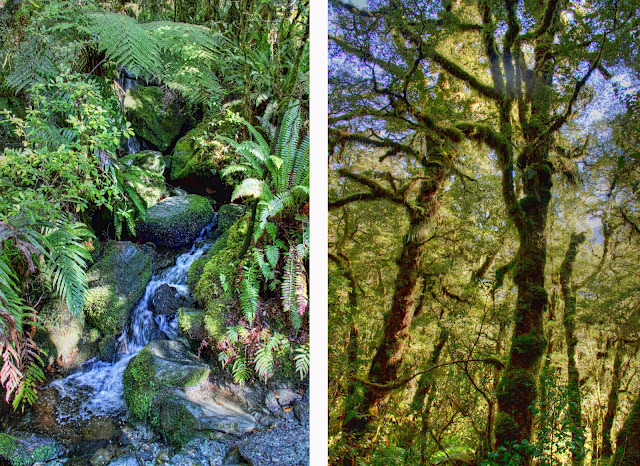 I don't know what the trees in the picture on the right are, but I love the way the moss catches the light. Finishing up with Featherdale Wildlife Park, may I present the tawny frogmouth? 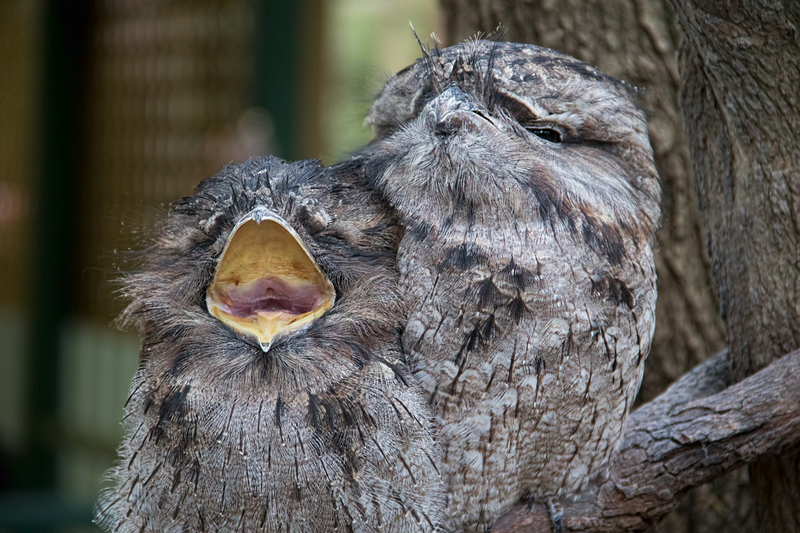 They look like fuzzy owls -- though they're more closely related to nightjars -- except for those amazing mouths. 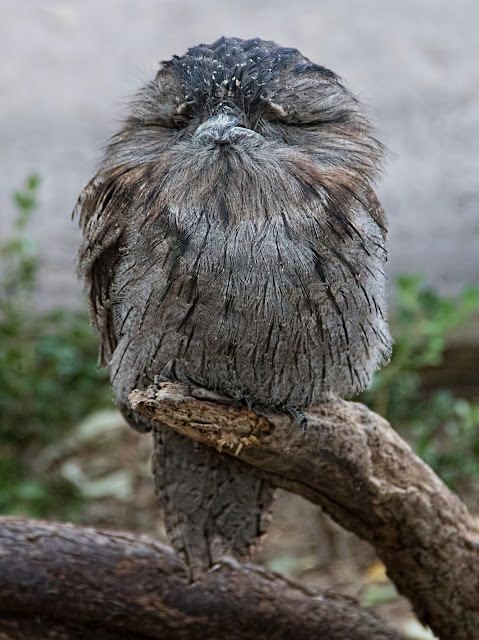 This may be my favorite bird ever.